Brushed gold coloured stainless steel lettering in a Times Roman font. Threaded rod fixings on the back for fixing onto a brick wall. 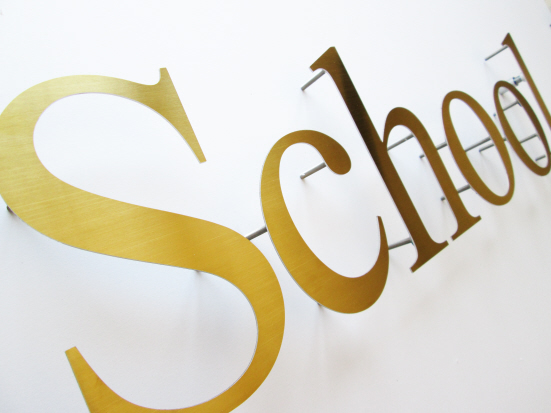 Gold Brushed stainless steel letters. Times New Roman font. 1.5mm thick, 4mm dia threaded rod fixings, paper template. Ideal for fitting onto brick, concrete or stone walls.